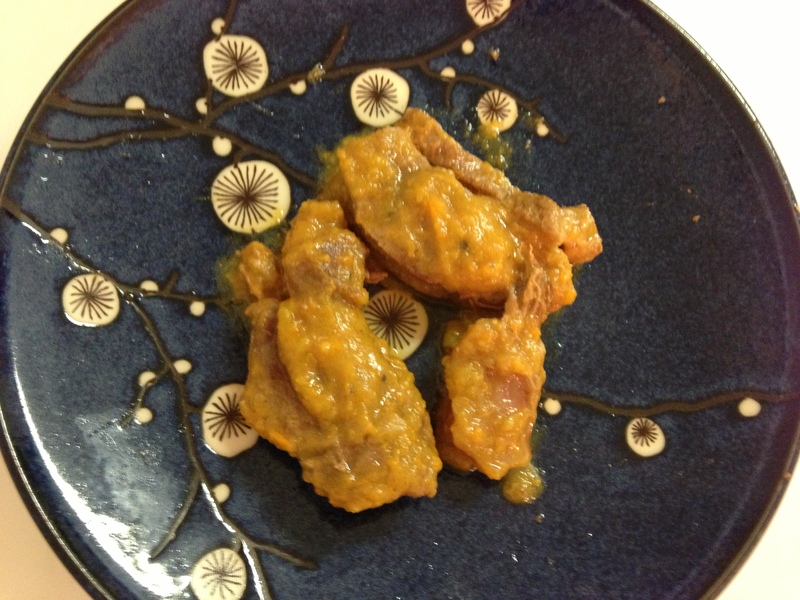 This recipe adapted graciously from mycrankygut.com. 1. Combine all the rub ingredients. Rub into all surfaces of the pork roast. 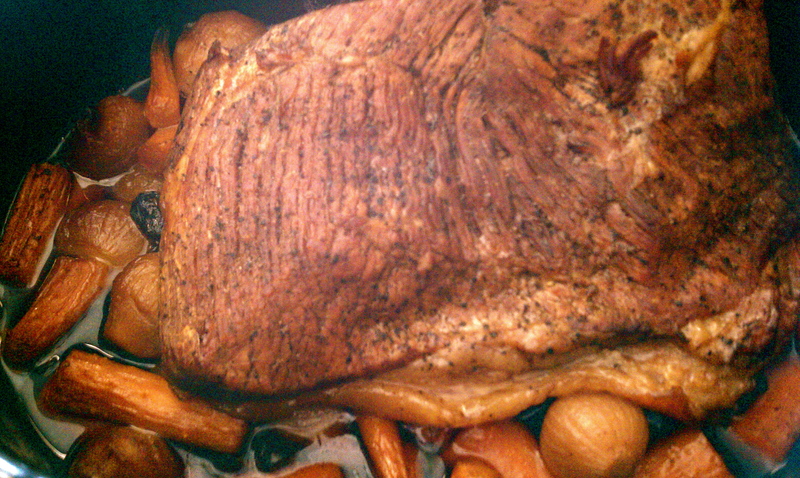 Put roast in a crock pot. 2. Add onions to pan and carmelize, 15 minutes. Deglaze pan with stock and vinegar, and bring to a boil. Add to crock pot. Add remaining ingredients and cover. Cook 8 hours on low, until pork falls apart. 3. Pull pork apart with forks. Optionally, use a immersion blender to blend the onion and contribute to the sauce. The Take I think this is the best crock pot recipe we’ve ever made. 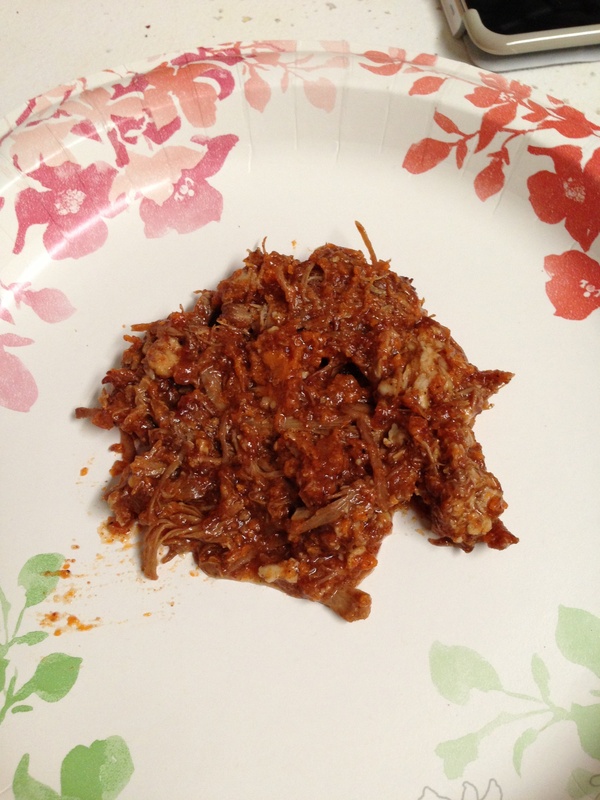 The flavor of the pork was excellent and the pork fell apart in the crock pot – what else could one ask for? This recipe graciously stolen from the Real Food Forager. 1. On top of the stove, heat the dutch oven to medium, melt some tallow or lard (we used bacon grease) and gently brown all side of the short ribs – you may have to do this in sections until all the meat is browned. 2. Hold the meat aside in a large bowl. 3. There should be plenty of fat in the pan — add all the vegetables except the garlic and saute until somewhat soft. 4. At the end, for a minute or two, add the garlic and let it warm up. 5. Add the meat back in on top of the vegetables. 6. Add the beef stock, the water and the bay leaf and the salt. Add whatever other herbs you like, too. 7. Cover the dutch oven and put inside the stove at 325 degrees F for 3 — 4 hours. 1. Remove all the meat from the dutch oven. 2. Using an immersion blender, blend the vegetables with the liquid gravy to create a nice, thick starch-free gravy! Reserve as many vegetables as you want, or blend them all, depending on how thick you like your gravy. This is the kind of meal that is perfect for a cold autumn day. On those days, you need something that “sticks to your bones.” These ribs are the perfect meal for that – filling, wholesome, and delicious! Creating the gravy by blending the vegetables is innovative and tasty! This recipe graciously stolen from nomorecrohns.com and used a gazillion times. 1. Slice chilies open and arrange half of the chilies, spread open, in a single layer on the bottom of a shallow 1-1/2 to 2-quart baking dish. 2. Evenly sprinkle half of the cheddar and jack cheeses over chilies. Spread on half the olives. Lightly sprinkle with salt and pepper. 3. Repeat layers, using remaining chilies, cheeses, and olives. 4. In a bowl, beat together eggs and yogurt until blended. Pour evenly over chilies and cheese, topping with remaining olives. 5. Bake at 375 degrees until custard is set and jiggles only slightly in center when gently shaken and edges have begun to brown, 30 to 35 minutes. Let cool 5 to 10 minutes. 6. Garnish with the diced tomatoes on top. We make this all the time. 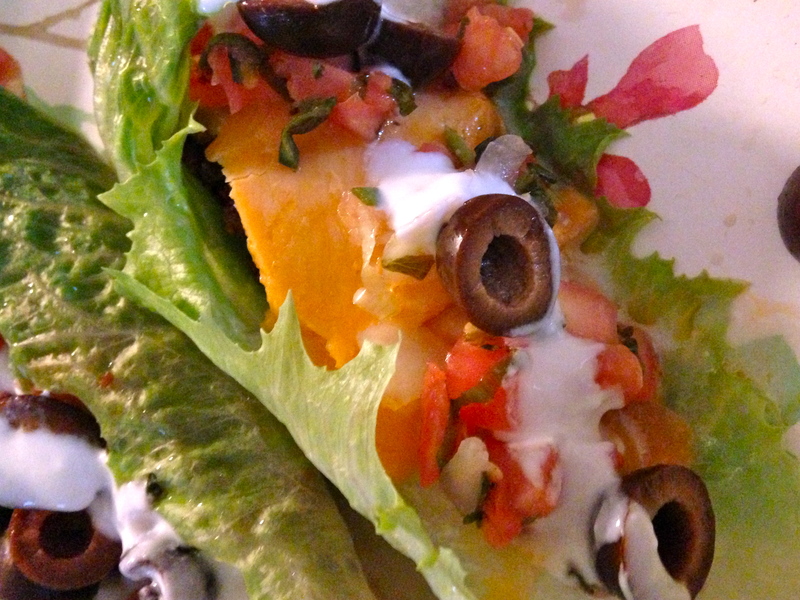 It takes some prep with the cheese grating and slicing, but is really tasty and we love it as leftovers. Frequently we’ll make taco meat to have with it as well. So stinkin’ good, guys. Seriously try it.